The one thing I missed earlier this year when I was ill, was going out and treating myself to cup of freshly brewed coffee. Now if I had a coffee pod machine at home it would of been less of a disappointment. Lucky for me my sister now has one as does a friend, and it is always a treat getting to choose from their selection of coffee pods when I visit. They press a button and before I know it I am enjoying a fresh coffee that compares favourably to my favourite coffee shop and much better than my instant coffee at home. Of course you can do so much more than just drink coffee, cake is an obvious choice but do not forget the garden. Use your espresso coffee to make a yummy Coffee and Walnut cake, a favourite of my aunts. Caffe Cagliari recommend adding any coffee grounds left in your used pod to your compost heap, or how about sprinkling them around the base of your roses. A good cup of coffee is dependant on the quality of the coffee. 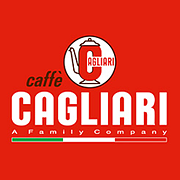 Caffe Cagliari is a family company established in Modena, Italy and have been blending coffee since 1909. Every single cup is an exquisite masterpiece, the result of more than 100 years of knowledge and tradition. The qualitative and sensory standards of Espresso have been certified by the Italian Espresso National Institute (I.N.E.I. ), which protects and promotes Italian Espresso. According to Caffe Cagliari the "perfect Espresso" should have: Hazelnut-coloured cream with reddish hues, sometimes with dark-brown streaks, creating a fine and even mesh, with a thickness of 3-4 mm, compact and lasting. Full-body, round taste with a long persistence on the palate, balanced flavour. You can enjoy Caffe Cagliari coffee in the UK as they make capsules/pods for Nespresso machines, making it easy to enjoy quality espresso coffee at home. I have been recompensed for this post. One of my favourite cakes Coffee & Walnut, I scatter my left over coffee grounds around my blueberry bushes.